The past few weeks I’ve gone through a bit of a dry spell with recipe creation. I’m not sure if it was just the winter season coming to an end, or my crazy schedule (it really felt like March Madness in the Staples household)! After a few weeks hiatus (I did post some workouts & fitness pieces), I’m back! I had some requests for some snack items, and was inspired by my recent trip to Starbucks. Have you heard of the company called Evolution Fresh? They make great cold pressed juices & snacks, and they are sold at Starbucks. When I’m out and need something to eat, this is usually one of my go to places, as I know I can get a bag of almonds, a juice, or even one of their snack bars. The only problem with this is they are pretty outrageously expensive. I don’t know about you, but I cannot pay $3 for a ‘granola’ bar every time I feel like it. So I went home, looked up the ingredients list, and got into making my own. I think mine are actually a bit healthier. They are about the same amount of calories, but I used raw honey for my No Bake Nut & Seed Bars, they used brown rice syrup & agave. Anyways, these are delicious, and they are a great go to breakfast (super filling, lots of fiber & protein)! 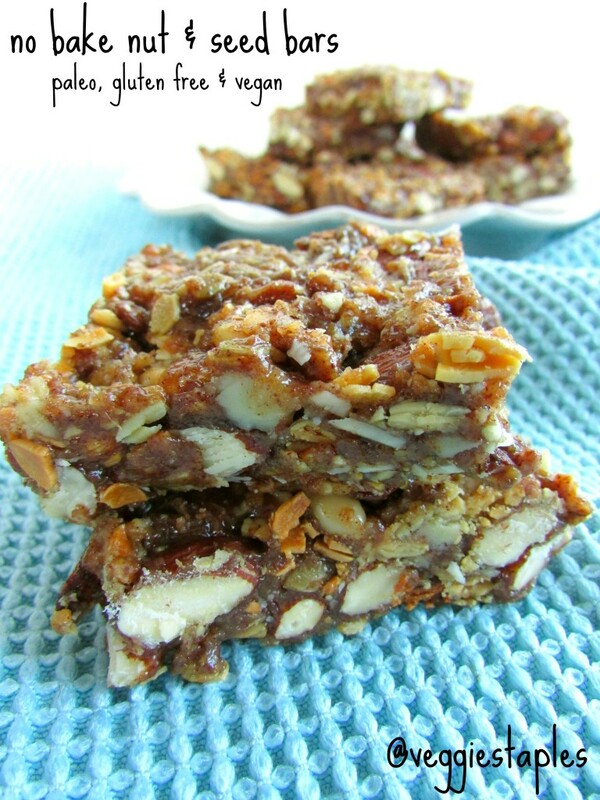 Perfect for a post workout snack, or even something to take care of that sweet craving after dinner at night. Snack on! I’ve been going through a dry spell with recipe creation, too! Glad you’re back. 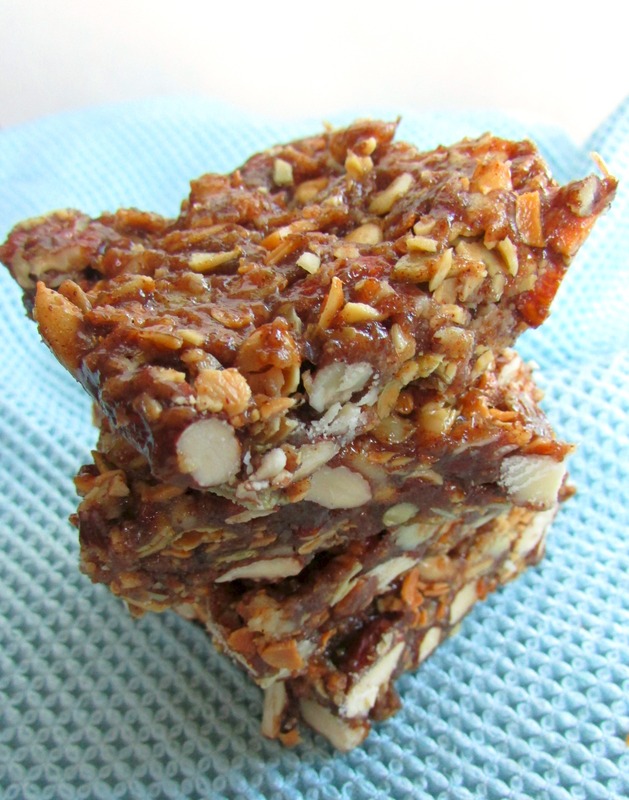 Healthy Coconut Bars – These tasty coconut bars I made today have the same flavor as a Bounty bar but are FAR healthier and super easy to make! This gluten free spiced hot fruit bake also makes for a great topping for waffles, pancakes, oatmeal, or simply by itself! So glad you like them!!! !